Dagnab it! Why did I spend 35 years taking the recommended calcium supplements? I just found out, calcium pills were never a good idea for me nor for most of us! (My Hair Tissue Mineral Analysis clued me in.) Extra calcium can cause a multitude of “old age” ailments and calcifications. For half a century doctors and dairy farmers have been pushing calcium. Strong bones? Wrong. Calcium is only one of 13 essential minerals that keep our bones strong. Overdoing calcium skews the natural balance of our minerals. The key to bone strength is balanced minerals and weight bearing exercise like walking. We women were told to get so many thousand milligrams of calcium every day, but that’s a mistake. In doing so we upset our balance of minerals. It’s an unusual circumstance when extra calcium is ever needed. Generally our diet tends toward too much calcium and not enough magnesium. Calcium and magnesium balance each other when they are in the correct ratio. How to discover your ratio? Get a Hair TMA to find out your mineral levels in your tissues. Do we have tight tense muscles? Muscle spasms? Calcium contracts muscles and makes them tighter. Magnesium relaxes muscles. Reduces muscle tension. Loosens us up. Helps me stretch further in pigeon pose. Most of our population is slumping into excess calcium and deficient magnesium. This leads to increased risks of blood clots, cardiovascular disease, plaque build-up, calcified heart valves, heart arrhythmias, high blood pressure, kidney stones, hypothyroidism, higher anxiety, low blood sugar, diabetes, addictions, constipation, bowel disease, fatigue, depression, migraines, fibromyalgia, kidney disease, osteoarthritis, bone spurs and calcifications of all kinds. These are real diseases, caused by mineral imbalance. Can you imagine curing your fibromyalgia by rebalancing your minerals? They say fibromyalgia is incurable, but is it? A high calcium creates a relative low magnesium. Low magnesium creates more stress, fear, and anger. Even panic. Imagine curing your panic attacks by taking magnesium. When there is a lack of magnesium, the body has to suppress the adrenals in order to conserve and retain whatever magnesium we do have. And when the adrenals are suppressed, sodium and potassium are lost. So the tissues and cells lose even more sodium and potassium. This causes weakness and low energy. Calcium excess also blocks energy production at the cellular level. It makes us more fatigued. As the biochemistry unfolds, we may develop poor absorption of proteins and amino acids, the builders and repairers of the body. With an overabundance of calcium, we may go into dementia (a calcified brain). For the older population, calcifications are so typical that we call them normal. But they are not normal. We don’t have to become more cement-like as we age. (Cement manufacturers use calcium to harden cement.) If we align our minerals well, we can avoid most of the discomforts of aging. I call that remarkable! Clearly it’s a cultural snow job, selling calcium. Got milk? Do you really think it’s a good idea? 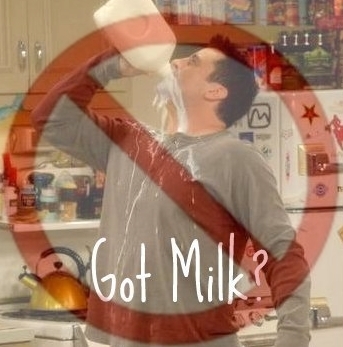 You know who should be drinking cow’s milk? Yes, baby cows. Not most of us. Experts in mineral balance tell us that a high calcium level forms a “calcium shell,” which literally numbs our feelings. They correlate high calcium levels with corresponding psychological stiffness. Calcified emotions, if you will. The calcium shell puts us out of touch with ourselves and diminishes our awareness of our own feelings. Magnesium reduces stress and increases relaxation. Magnesium nurtures the adrenal glands. It regulates the fight or flight response. Magnesium reduces addictive cravings. It even improves brain function. As we reduce calcium intake and increase magnesium, the body will gradually balance back to better health. The calcium shell will dissolve. Chronically tight muscles will melt. Calcifications will diminish. Some people have softened up and healed their calcified heart valves, so they didn’t need surgery! Foods that are high in magnesium include green vegetables, legumes and beans, nuts, seeds, and unprocessed whole grains. Wheat germ, Brewer’s yeast, sunflower seeds, pumpkin seeds, kelp,and sea salt are all rich in magnesium.Vegetables, nuts and seeds have more magnesium when they are raw than when they are cooked. Magnesium pills are absorbed in varying amounts and may cause loose stools, so it’s best to space them 2 or 3 times a day rather than all at once. Topical Magnesium gel or spray applied to the skin absorbs better (as does an Epsom salt Mag sulfate bath). There are many varieties of Magnesium pills. I’ve been advised to avoid Mag glutamate, Mag oxide, and Mag asparatate. Each of us is unique. Our cellular minerals are unique. The way to approach this is to get your hair tissue tested. See my last two posts to contact the expert mineral health coaches known to me. I must say, after staying on the advised minerals for two months now, I am feeling almost as energetic as a kid again. Maybe you’d rather investigate and do your own exploration. The Calcium Lie II by Robert Thompson MD and Kathleen Barnes explains all the above concepts in detail with biochemistry that is understandable. They give case histories of healings, and tons of suggestions for treatment of particular conditions. The Miracle of Magnesium by Carolyn Dean MD, ND also presents the medical science behind Magnesium-Calcium balance, explores Magnesium deficiency and the resulting ailments, includes case histories and specific plans of treatment and diet. Keep in mind: when we are under stress, as most of us are, we use up our stores of magnesium and zinc, so it’s important to nurture ourselves and replace these minerals. But for gosh sakes, most of all, stop taking calcium pills! This entry was posted in Digestion Nutrition, Disease Relief - Prevention and tagged calcified, calcium, Calcium Lie, calcium shell, dementia, Fibromyalgia, Hair Tissue Mineral Analysis, magnesium, mineral balance, Miracle of Magnesium, panic attacks, potassium. Bookmark the permalink. Thanks Diane, this was wonderfully helpful! I haven’t had an opportunity to practice my pigeon pose lately, however I suspect I would not be doing well as I have not been getting my magnesium!